Happy Rosh Hashanah; or perhaps I should say Happy New Year! Rosh Hashanah is the start of the Hebrew civil year. Rosh Hashanah is also called the Feast of Trumpets. Rosh Hashanah is a solemn day that marks the beginning of Israel’s high holy days (Leviticus 23:23-25). The high holy days encompass a ten day period of repentance which concludes with Yom Kippur (also called the Day of Atonement). Rosh Hashanah is celebrated by the blowing of the ram’s horn. In Hebrew this horn is called the shofar. Rosh Hashanah is the start of the Hebrew civil year. This year Rosh Hashanah began at sunset September 24, 2014. This day begins the year 5775 on the Hebrew calendar. The year 5775 is also a Sabbatical year (Leviticus 25) which ends a seven year cycle. The next seven year cycle will begin at sunset on September 13, 2015 with a total solar eclipse. God promised Israel that they would suffer seven years of tribulation before the Messiah returns to set his kingdom in Jerusalem. Perhaps Rosh Hashanah 2015 will mark the beginning of the next seven years of Israel’s trouble and also of God’s wrath on earth. Like I said before; the Hebrew calendar is divided into seven year periods. It is also divided into 7×7 (or 49) year periods. Every 50th year is called a Jubilee year. Rosh Hashannah 2015 will begin the first year of the seventh seven year period. So seven years after Monday September 14, 2015 the next Jubilee year will begin. The year after every 7th seven year period on the Hebrew calendar is a Jubilee year (Leviticus 25:8-13). 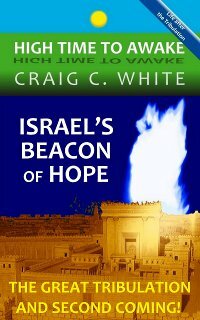 On the Jubilee year Jewish slaves are freed, debt is forgiven, and property is restored. The next Jubilee year will begin on Rosh Hashanna in the Hebrew year 5783 or September 26, 2022. I’ll bet that Jesus Christ is back in Jerusalem just before that date! Israel will be 70 years in existence by the year 2018. Is this cycle not playing any part in the prophesy? Hi Fundile. I don’t know of any prophecy about 70 years specifically pertaining to Israel being back in the land. The Bible says that a generation is 70 years. 80 if strengthened. Israel became a nation in 1947. 70 years generation would be 2017. Not an expert but I believe it’s tied into Daniels prophecy. Remember that Jacobs trouble was two seven year periods so there is still another 7 year period coming which overlaps with the last 7 year period. Hi Michael. I don’t think that we need to calculate generations at all. Jesus is saying that all of the events of the Tribulation and his second coming will occur within the same generation.